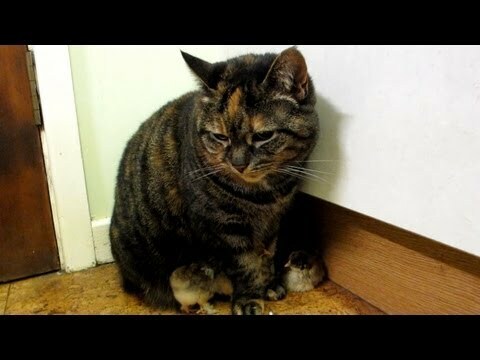 Oscar is not the only cat in his household to care for the family’s chicks. Rosie does her part, too. Here she is letting the chicks snuggle up underneath her.